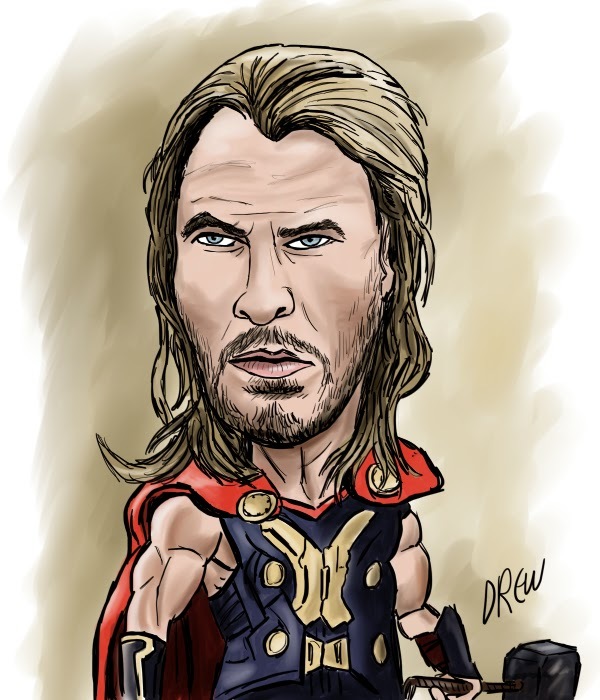 This week I chose to draw one of the Avengers Assemble cast for a caricature competition and I chose Chris Hemsworth's Thor. 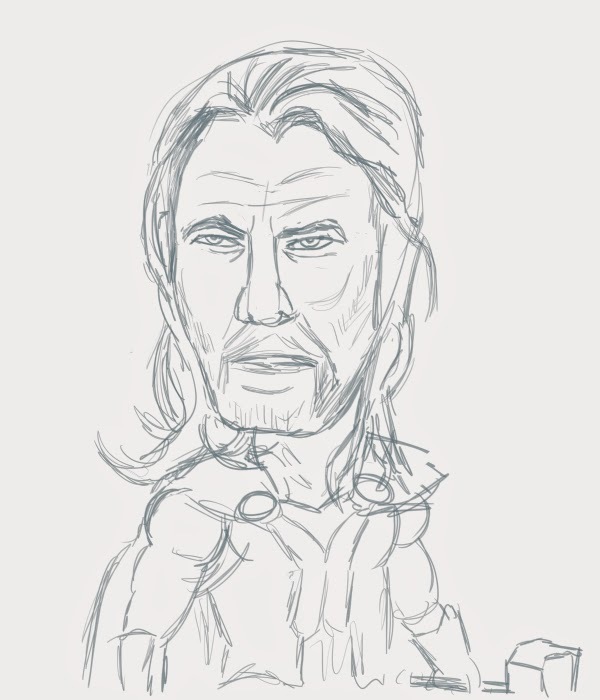 In our house we often have conversations about who is our favourite Marvel superhero/Avenger and usually Iron Man comes out top but when choosing one to draw I opted for Thor with his long curly hair. 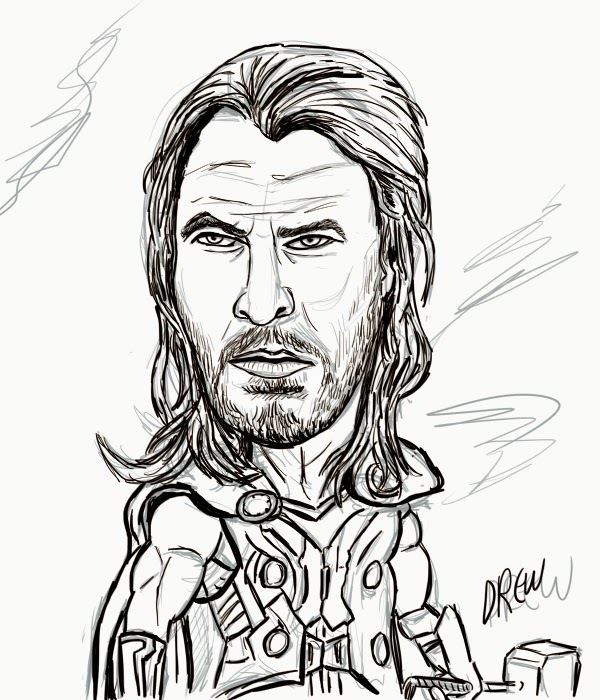 If you want to see how I built up the image you can look at the digital pencil drawing and inking stage below. Ironing Man - it's just the pun you expect.